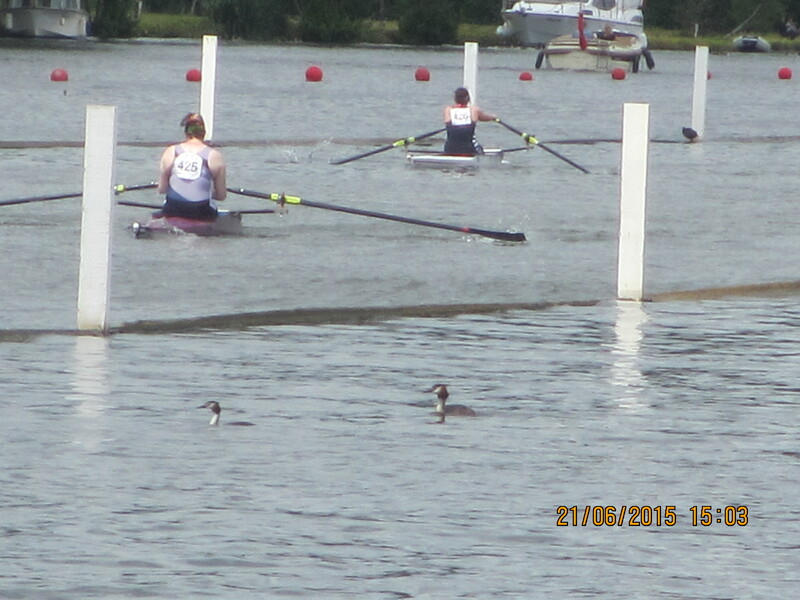 I’ll be honest, my lead up to Henley Women’s Regatta wasn’t great. I’d missed a lot of training through illness and injury and was really not in the shape I wanted to be. To the extent that, I was seriously considering scratching about 2.5 weeks before the race. Coach wasn’t having any of it thankfully. To have even half a chance at winning, I knew I had to stay well and get the most out of the sessions I had left. With good fortune, I stayed well and injury free and managed to commit to some decent training. I regained speed quickly and my erg scores started to tumble. With a few days to go before I started to taper, I finally managed to produce some scores I could be relatively happy with, and the belief that I could perform started to reappear. So I bundled everything (but the kitchen sink!!) into the car, and set off to Henley. I arrived just in time to see some of my squad mates race. I met some friends for the first time, saw some old friends, and generally had a chilled out afternoon. down for the whole weekend, it’s such a great event. I went to prepare for an evening paddle, to discover that my foam roller, that I use under my knees in the boat had been removed and left at home. So after a quick strop, we used some bits of kit for a temporary job and I went out for a paddle. It was good to be back on the water, although being surrounded by 8’s is always a little unnerving in a single. It’s like being in a Smart Car surrounded by HGVs!! The session went mostly to plan. I found my balance (well as much as I ever have!!) and did a few starts. It seemed okay, and I managed to hold off the 4’s and 8’s coming down for a while. I did nearly capsize just before coming in when I had my right blade parallel to the boat and my left was well into arms away, but I managed to stay calm and rescue it, phew!! We then went back to the hotel, unpacked, had food etc…. The plan was to chill out for Saturday and have an evening paddle. So I had an early night and a late morning, my PA and I went out to get some snacks, but otherwise I sat around and mooched. My parents arrived in the afternoon, which was lovely. I was going to go out for the paddle, but we decided that driving 30- 40 minutes, for a 40 minute outing and then the same back, was probably not worth it in the grand scheme of things. I wasn’t going to gain anything significant from the outing, but I could injure myself, or tire myself out so I decided to stay watching DVDs instead. My coach was kind enough to run around the shop and get a new foam roller, whilst we acquired a saw to do the job. I had an early night, having packed everything and prepared all my kit and drinks for the next day. Not long after I woke I got a frantic phone call from my coach saying there was a problem with the timetable and we were due to race at 1150 not 1500. This gave me less than 2 hours before I needed to boat. Many phone calls, tweets and emails were sent, and I managed to get hold of someone, who said that they’d just noticed it as well and were in the process of checking it. Thankfully 1500 was right, which is what we’d been told originally, so I had to spend some time calming down. We arrived at 11 so had plenty of time to prepare and cut down foam rollers. I just rested and chatted until it was time to prepare and get on the water. We were heading up to the changing room when an unfortunate incident occurred, which involved me being tipped out of my wheelchair and dislocating my shoulder in the process. This resulted in a very stressed and annoyed me, with a rather wonky shoulder. I quickly put my shoulder back in and tried to get my head back into the race plan. I boated and rowed up to the start focussing on balance and length, and remaining focussed on my race and my boat not what was going on around me. I got up to the start, and had fun with the cross wind. We were called up to attach to the stake boats. I arrived got lined up and then they decided to change the person holding it, and also move the length of the platform out as well. Eventually we were called to Attention. I quickly checked my blade position, took a focussing breath and then “GO”. I had a good start, and moved off quickly, I powered through my first few strokes, and realised I could already see my competitor from the corner of my eye. Without losing focus, I continued to push on, by the Island I already had about 2 L clear water, so I settled into a safe rhythm, remembering my coach’s sole instruction “Don’t F*** Up” I continued to pull away, so I started to wind down a bit- I was told to keep it safe and not push on unnecessarily. I settled into a 75% pressure pace, and just kept my focus and calm, whilst trying not to get too excited. As I drew towards the finish, everyone was cheering and shouting, and suddenly I heard “Claire, you can stop rowing now” Possibly the most bizarre hooter/whistle in the world. Suddenly I realised I had won!! Yes, finally after a horrid season, I’d done it. 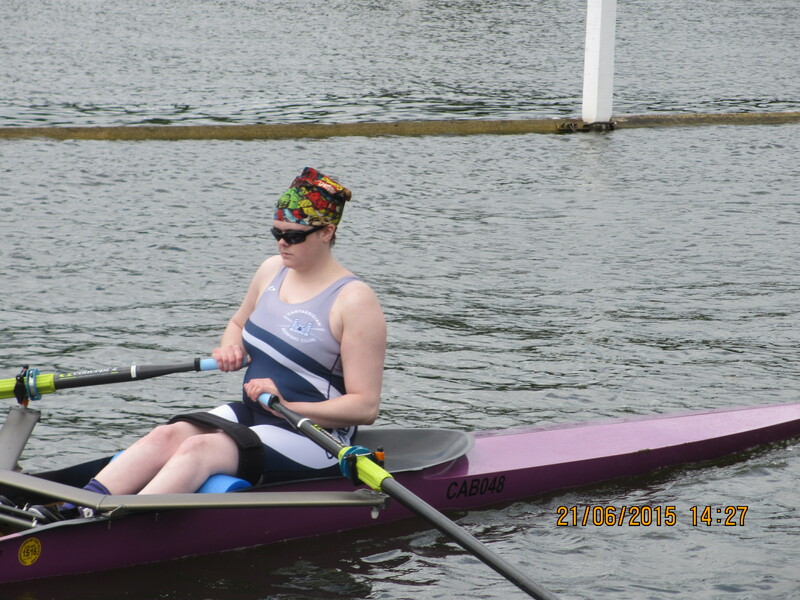 I wound it down and continued rowing so that I could get back to the boathouse. Some people didn’t realise that I had finished racing and were shouting at me to keep going and not give up- I think I was doing arms only at the time to try and recover a bit!! As I continued rowing down people were still clapping and cheering- this is what I love about HWR, people support everyone, complete strangers came up to me to congratulate me, it’s a lovely feeling. I got back to the boathouse and out of the boat- for once I didn’t throw up!! But I did cry instead. I know it sounds daft, but it’s been such a rubbish season, it was such a relief to have done this. I got an understated fist bump from coach and then I went to roll into a shower before getting dressed up for presentation. I discovered I was only 12 seconds off the course record and I’d only been rowing at 75% so I was a bit annoyed about that, but the time I won in was about the same time I’d won my semi in last year, so despite all my problems this year it shows I’m in better shape than I thought. I took my parents shopping, well I mean I showed Mum lots of things I wanted and convinced her to part with her credit card for some of them!! They sadly had to go and couldn’t stay till the presentations as it’s nearly 4.5 hours for them to go back home and Mum had work the next day. My aunt and uncle stayed a little bit longer and then headed off. I was called into the presentation enclosure and we kept having to move people out of the way as otherwise I wouldn’t get to my presentation!! 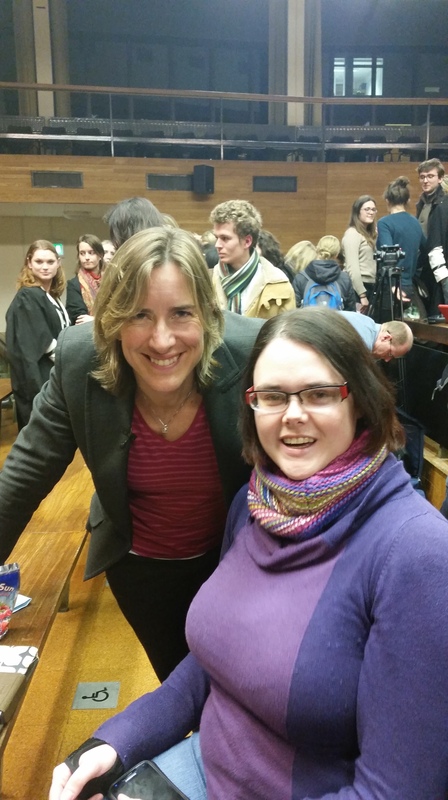 There was a bit of talking and speech by Naomi Riches MBE, before the presentations started. Eventually it was my turn- after remembering to take off my brakes, I made it to the front. I’m not good in these sorts of situations, I get really nervous, but I managed to not drop the trophy which was the main thing, and remembered to try and smile as well!! Receiving my trophy and medal. We made a quick exit after that as I was pretty tired and still had to do the drive home. We did our goodbyes and made for home. 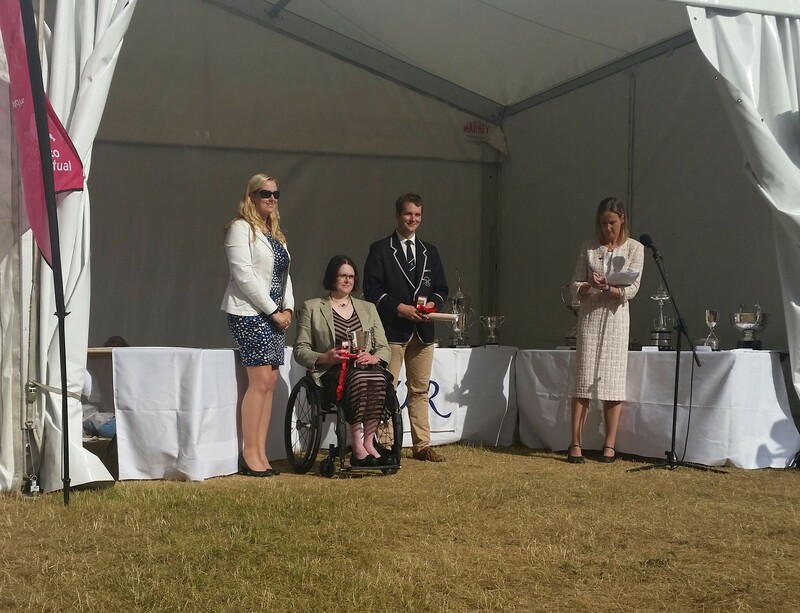 So that’s my story of Henley Women’s Regatta. It was as ever a fun experience, and really enjoyable. That’s the reality. Three years ago I started TPN, it saved my life, and completely revolutionised it. Now I am back, this time to talk about fundraising for them. They’ve stuck by me as every challenge has cropped up, have introduced me to some fantastic friends and some random people who I love dearly. I have three years of additional life to celebrate, and I have definitely done some living in those years. On Sunday I take on the Bupa Westminster Mile- don’t worry I haven’t suddenly learnt to walk, I took up wheelchair racing as part of my cross-training, so I thought why not give it a go?! It’s time to repay the favour, to ensure they can continue their fabulous work, plus I get to race (can take the rower off the water, but can’t take the racing mentality away!!). I only started training for wheelchair racing in February and much has been punctuated by niggles and meetings getting in the way, so I’ve not had many sessions, and seem to have the worrying knack of tipping my chair, including in my first ever race!! I’ve now done 2 competitions and 7 events across those, I’m not fast, but I’m having fun- although I have collected 5 medals and a third place out of those. I hope anyone reading this will take time to read my fundraising page http://www.virginmoneygiving.com/claireconnon where I wax lyrical about the work PINNT do, and consider sharing and supporting this fantastic charity and my crazy endeavour! !